Meet Gail Lloyd. Joyful, extroverted, gifted, and professional, Gail sees her art as an extension of her love of God and His creation, especially people. Gail's artistic style is happy, and pleasing to the eye. She is prolific in portraits, still lifes and more recently, abstract paintings. Even when working in abstract, Gail's goal is to express a sense of peace and joy through her work. Before embarking on abstract painting at the request of her husband, she did some field research and found that much of modern art seems to express chaos, harshness, and conflict. She set out to define herself and her work as positive and uplifting, standing against the trend of what she calls "art with angst." Gail recognized at an early age that she had a compelling desire to create, draw, and design. She studied Art at Pensacola Jr. College and Art History at the University of New Orleans. Although she married young and has spent two decades home educating her four children, Gail has been able to enjoy her art passion through the years by teaching Art and Art History classes to groups of home school students, as well as adults. She has been fortunate to continue her own education taking classes from various local and national artists to improve her skills. Gail paints portraits in oil, pastels, charcoal, and graphite. She is best known however, for her unique Word Portraits. These specialty portraits are created by words that describe and honor the person they depict. 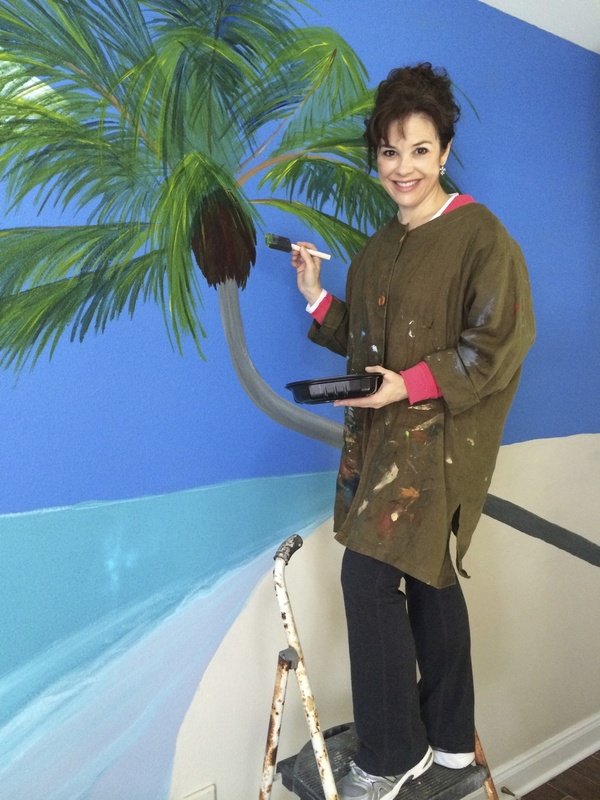 Not limited to canvas or paper, Gail can be commissioned to paint murals and other custom art.